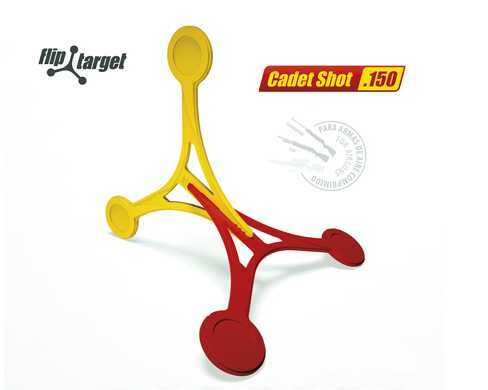 This is the newest style target for airguns, the Norica Cadet Shot .150 Flip Target. This is the lighter-weight unit for "detuned" airguns. For higher-powered airguns, see the regular/Heavy Duty Norica Flip Target.